The bathtub is the centerpiece of your bathroom, and this freestanding tub with its contemporary, seamless design is guaranteed to make a statement. Its elevated aesthetic is paired with modern convenience: the pure white acrylic construction is easy to clean and cUPC certified. Comes with a sleek deck-mounted faucet and handheld shower. Overflow drain is included. The Aston WT622 50 in. x 30 in. Walk-In Jetted Tub combines safety with comfort and it allows for independent living. Safely enter the tub through the low-threshold door, sit in the built-in chair height seat and enjoy a massaging bathing experience in your own home. All tubs have a mounted thermostatic faucet and a convenient hand shower to make each experience that much more enjoyable. Independent living has never been easier. The Aston WT622 55 in. x 30 in. Walk-In Jetted Whirlpool Bath Tub with Side Panel, Left Drain, combines safety with comfort as it allows for independent living. Safely enter the tub through the low-threshold door, sit in the built-in chair height seat and enjoy a massaging bathing experience in your own home. All tubs have a mounted thermostatic faucet and a convenient hand shower to make each experience more enjoyable. Independent living has never been easier or more relaxing. The included side panel makes this model ideal for any corner installation. 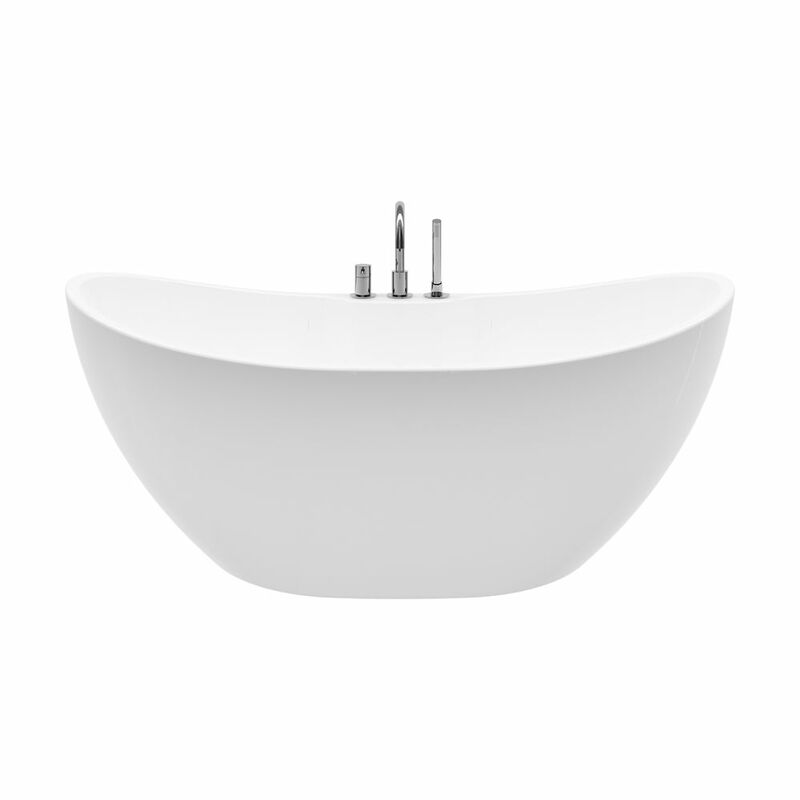 Boreal 69 inch Acrylic Freestanding Flatbottom Non-Whirlpool Bathtub in White All-in-One Kit The bathtub is the centerpiece of your bathroom, and this freestanding tub with its contemporary, seamless design is guaranteed to make a statement. Its elevated aesthetic is paired with modern convenience: the pure white acrylic construction is easy to clean and cUPC certified. Comes with a sleek deck-mounted faucet and handheld shower. Overflow drain is included.